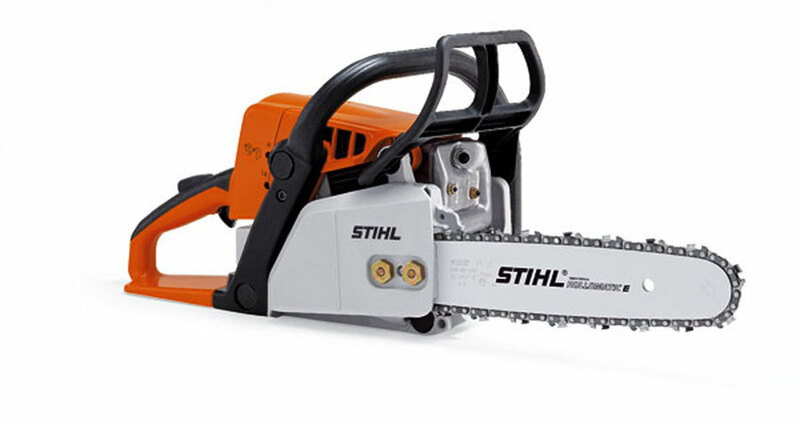 Stihl is one of the leading chainsaw manufacturers in the world. They offer chain saws for all tasks from the DIY logger to the demanding professional. 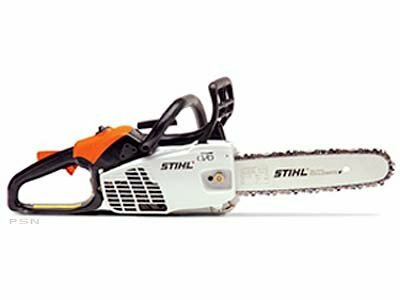 STIHL offers their patented STIHL Easy2Start™ technology on select chainsaws, reducing the strength and effort needed to start the engine. Stihl have a range of over 100 chain saws including petrol, electric and even a cordless 36v model. Ideal for most wood cutting chores around the domestic garden, the MS170 D chainsaw is powered by a 30.1cc petrol engine with a power output of 1.2kW and a bar length of 12″/30cm. It features an ideal weight at just 4.2kg. It also complies with the EU 11 exhaust emission standards for power tools. 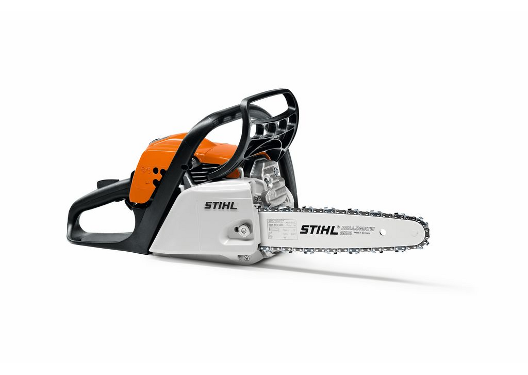 With low emission output, this high performance chainsaw is ideal for most wood cutting chores around the domestic garden. 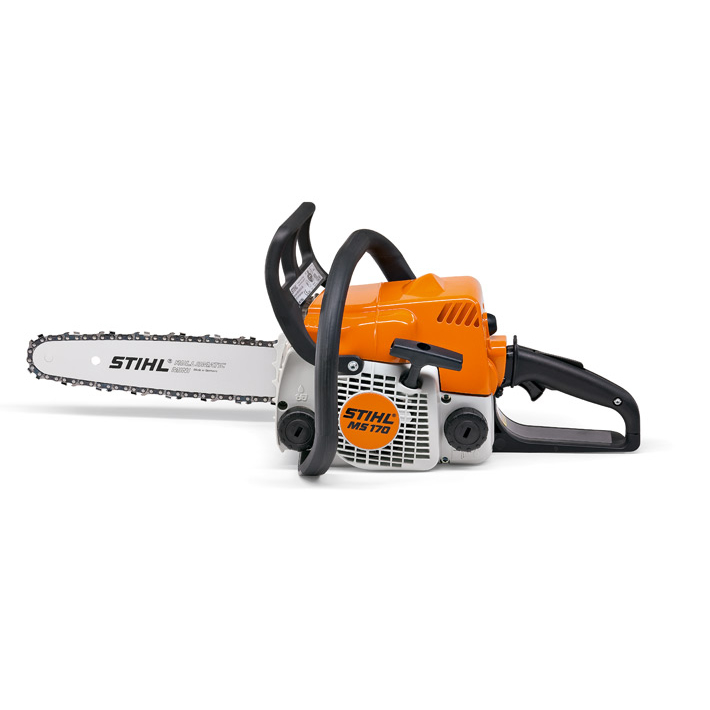 Powered by a 31.8cc petrol engine with a power output of 1.5kw and a bar length of 14″/35cm, the MS181 chainsaw incorporates Stihl’s AV System that limits vibrations to 3.3m/s. 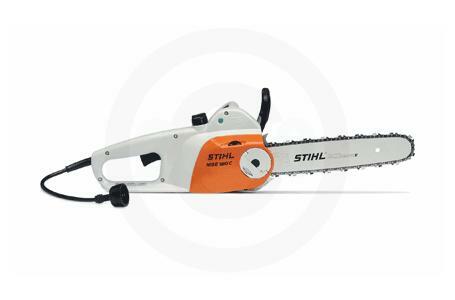 Stihl MS 181 C-BE Comfort with 16″ / 40cm cutting bar has a low vibration petrol for property maintenance. Extensive features including air filter with pre-separation system, 2-stroke stratified charge engine, Chain Quick Tensioning, ErgoStart, Compensator, and Ematic chain lubrication system. Designed to be economic in use with 70% lower emission output and 20% lower fuel consumption, the Stihl MS231 is powered by a 40.6cc 2-Mix petrol engine with a power output of 2.0 kW and a bar length of 14″ / 35cm. It is ideal for most wood cutting tasks and property maintenance. Featuring a sturdy design and heavy-duty magnesium construction, this sleek, hard working electric chain saw has a significantly higher cutting speed than the MSE 180 C-BQ. It is quiet enough so it can even perform indoors. Lightweight and practical, the MSE 220 can get your jobs well done.